I've been feeling a little uninspired by the decor in my day job work space. I'm eager to switch it up and adjust the decor to be a bit more refreshing, less tchotchke. I'm deeply affected by my environment and it's always been important to me to keep the spaces where I live and work in tune with what makes me feel at peace, calm and focussed. I believe my desire to rework this space is due to a major shift within me that is on the brink. I'm certain it is absolutely because I am marrying my best friend in three weeks. Not going to deny that for a minute! Full embracing this page turning moment of my life. It's exciting, new, and so comfortable all in the same breath. It is inspiring me to look at so many different aspects of my life through a more personal lens. 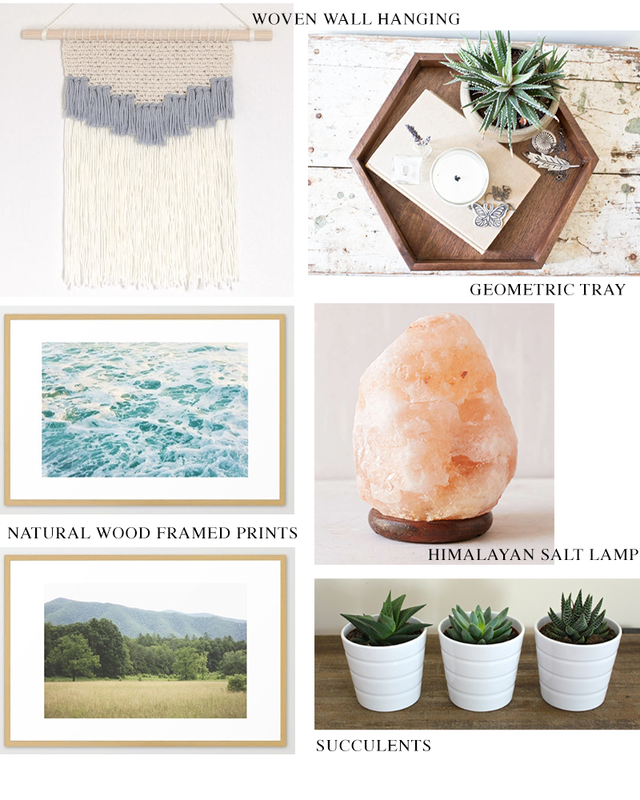 Fields, sea foam, soft textures, geometric shapes, natural elements. PS. Like I recently did with my Instagram handle, I've migrated by Snapchat handle away from my name and over to thecommonday. So if you're on snap, add me!